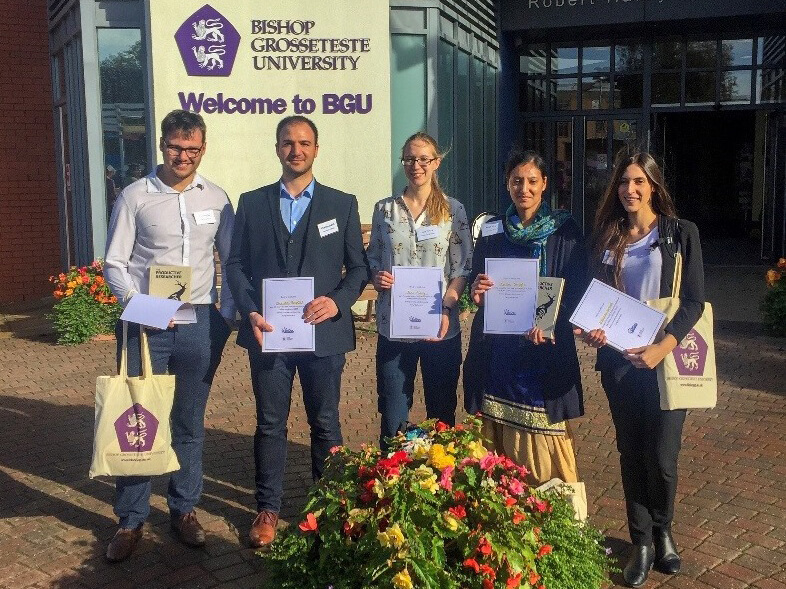 Five postgraduate research students from the University of Derby have been awarded prizes in every category of a prestigious research competition, held as part of the annual East Midlands Doctoral Conference. The University is part of the East Midlands Doctoral Network (EMDoc), made up of nine universities within the region. Together they are committed to sharing best practice, resources and insights into postgraduate research, as well as providing opportunities for student collaboration and networking. 3MT is a research communication competition developed by the University of Queensland, which challenges research students to present their thesis and its significance in just three minutes, in language appropriate to a lay audience. It is also the highlight of the EMDoc student conferences. Category winner Charitos said: “The 3MT competition gave me the opportunity to identify the crucial aspects of my research and present them in a concise and clear way, understandable to the public. It is all about the importance and the potential impact of the research project. Participating at this competition helped me improve my presentation skills as well as made my project more visible. Find out more about postgraduate research at the University of Derby.